GRAFENWOEHR, Germany – Now is the perfect time to get outside. 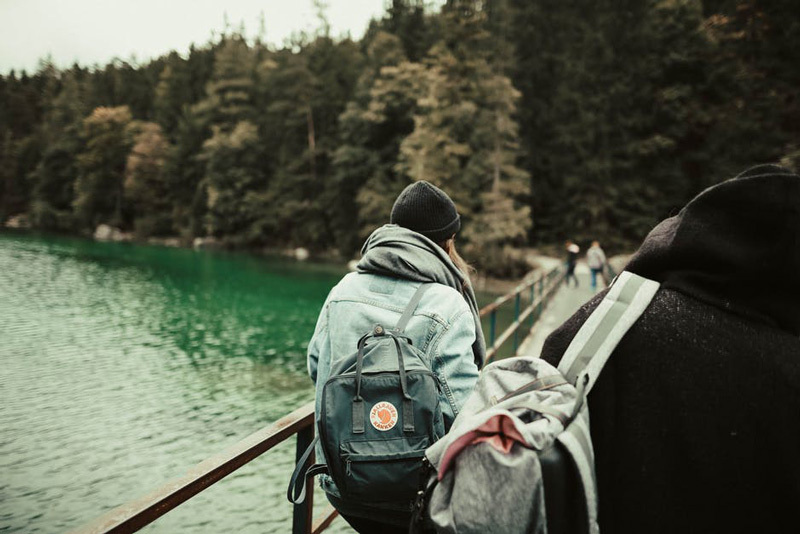 Whether you want to improve your fitness level or take a stroll with the family, below is a list of nature hikes to suit everyone. Weissenstein Burgrine in Stienwald – Kalvarienbergstrasse 42, 95679 Waldersdorf. This hike is especially interesting as winds its way to the ruins of a medieval castle, which dates from 1100. There is a parking lot nearby. The hike is about a two-and-a-half-mile loop. Grafenwoehr fitness hike – Bierlohstrasse, 43, Grafenwoehr. This hike covers three miles, and involves difficult terrain with steep ascents and descents. Park along the street where the pavements turns into a gravel road. Luisenburg Felsenlabyrinth – Luisenburg 2, 95632 Wunsiedel. You hike about a one-and-a-half-mile roundtrip that takes you past amazing rock formations more than 300 million years old. This hike is a treat for the eyes as well as a great way to exercise. Follow blue arrows up, and red arrows down the trail. The yellow arrows are shortcuts, which can be strenuous. There is a three euro fee to park and an entrance fee to enter the labyrinth (nine euros for a family). There is also a restaurant (Kosseinehaus) further along the trail. Make sure you put Luisenburg for the street, not Luisenburgstrase. Eschenbach Kid-Friendly Hike – B470, 92676 Eschenbach in der Oberpfalz. As you leave Eschenbach, you will cross a creek, and on the right there is a sign that says Holzweg. If you turn right on the dirt road, you will see the parking lot. The hike is about 1.25-mile loop with stops and activities along the way. Eschenbach Bird Sanctuary – Eschenbach in der Oberpflaz. This hike is about a three-and-a-half-mile roundtrip with easy terrain, but you must be careful of numerous tree roots. The added attraction is the many species of birds that inhabit the sanctuary. There is a parking area off 2122. Frankische Schweiz Castle hike – Berg Rabenstein in Frankische SchweiZ, Rabenstein 33, 95491 Ahorntal, Germany. This hike takes you around a castle, set in a hilly landscape, which brings to mind a by-gone age. The hike is about a three-and-a-half-mile roundtrip. Follow this link to GPS data for the hiking route. Vilseck Kid-Friendly Hike – Bieberweg. This is a 2.2-mile roundtrip hike with easy terrain. The hike winds its way around the countryside. The parking area is on the right when you are traveling toward Vilseck on 2166. Hutten Canal Hike – Hauptstrabe 31, 92655 Grafenwoehr. This 3.25-mile roundtrip hike takes you along the Hutten canal with many sights to draw your attention. There is a parking area for this hike. Neustadt am Kulm Fitness Hike. The parking area is Rauher-Kulm-strabe 8, 95514 Neustadt am Kulm. This hike is quite strenuous, and takes you to the top of an ancient volcano and around the ruins of a castle built in the Middle Ages. The hike itself is about 1.75-mile, and is not for the faint of heart, as it requires climbing on rough, rocky terrain. The view from the top is awe-inspiring, and worth the climb. Grafenwohr Bike Trail Hike – park in Lidl parking lot, Bahnhofstrabe 60, 92655 Grafenwoehr. This hike is about a 3.25-mile roundtrip on flat terrain, so it may be a good hike for children, provided they are used to biking. Follow this link to GPS data for the hiking route. Dorfgmund Trail Hike – The parking area address is Leitenangerweg 3A, 92655 Grafensorh. This may be another good hike for children, as it is a two-mile roundtrip hike with easy terrain. Grafenwohr Ridgeline Hike – park in the Lidl parking lot, Bahnhofstrabe 60, 92655 Grafenwoehr. This hike is about a three-mile roundtrip hike on hilly terrain. Waldeck Castle Hike – Park at AM Schlosberg 40, 95478 Kemnath. This hike is about a one-mile roundtrip hike with hilly terrain, but the view is spectacular, as you wander around the ruins of Burgruine Waldeck Castle (the exact date of construction is unknown). Dorgmund Lakeside Hike – The address for the parking lot is off New 22 Pesseth 92690. This is a 2.9-mile hike, which winds around Dorfgmund Lake. So there you have it. A list of walking paths and hiking areas that combine the joy of getting outside and exercising with beautiful scenery and historical sights.